Up until recently, ordering on delivery.com’s website wasn’t always the same as ordering from the apps. But with our latest release to the Google Play store, those days are gone for good. 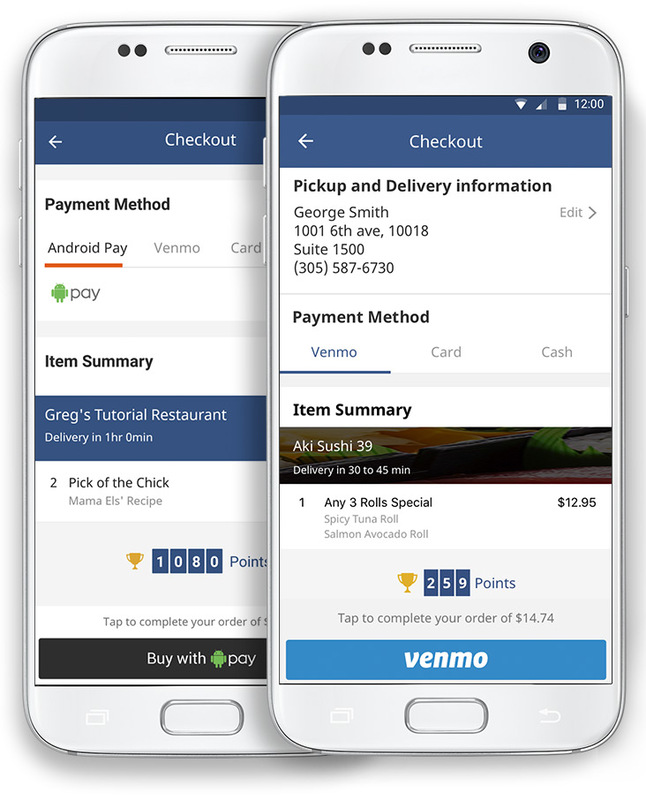 In fact, not only is the new Android app totally up to par with the rest of delivery.com’s ordering options, but it’s fully tailored to the Android experience, taking advantage of unique native features to make for the best delivery app around. When you really get down to brass tacks, the most important thing for ordering on demand is speed. And the new app delivers. With slick animations and seriously reduced load times, you’ll be able to take care of your to-do list — from ordering lunch to doing your laundry — in less time than ever. See it an action here! Of course, if speed and reliability are the bread and butter of any delivery app, it’s the bells and whistles that really make it sing. Big menus are great; everyone loves options. But on a mobile device (yes, even the big ones), working your way around a long menu can be tough. So look for the three little dots on the right side of every menu to pull up a navigation bar that lets you jump from section to section in a snap. When it comes to online ordering, the actual paying part probably isn’t your favorite. But at least it’s easy! With a ton of different ways to pay, including cash, credit, Venmo, or Android Pay, you can save all of your information and check out safely, securely, and quickly every time. 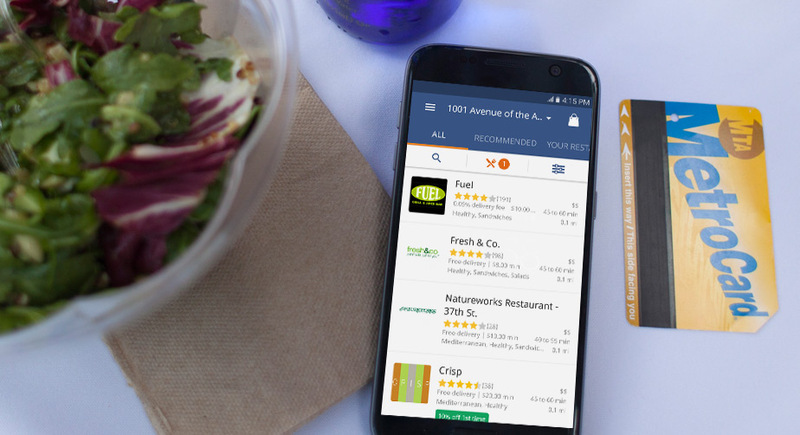 With new phones come new features, and the new Android app takes advantage of improved touch sensitivity with haptic feedback throughout the ordering experience. 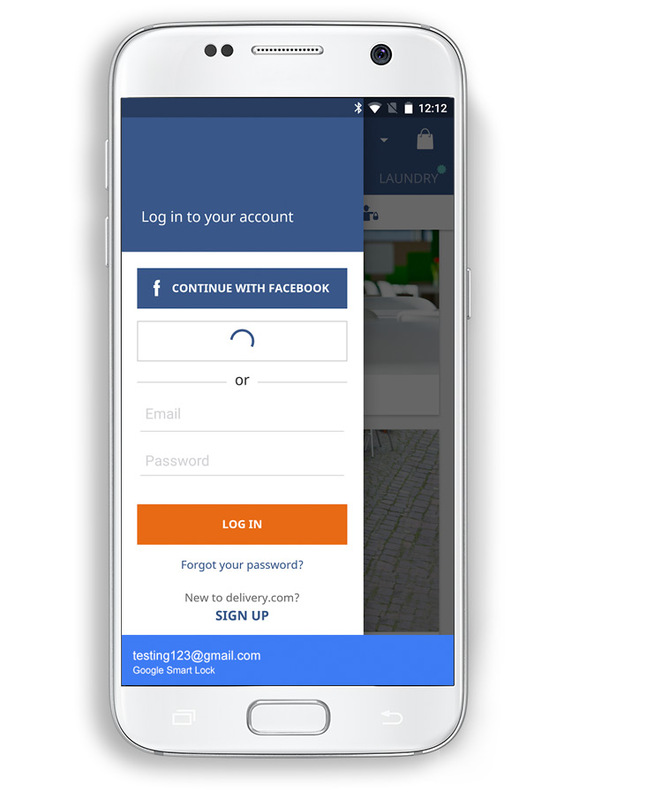 It’s also fully integrated with Smart Lock, so you can get right down to ordering without entering passwords or security codes. Stay tuned for more news about upcoming releases, and head to the comments section below to let us know what you think! Take a Spin through Hoboken!